Spring in Strathconon. this is the time of year for preperation. for the soil and greenhouse/polytunnel. remember to wash pots/seed trays ready for use. order seeds/potatoes/onion sets so that you can insure you get the kinds you require. Strawberry runners taken last summer can be brought in to the polytunnel, this will ensure early crops free from bird damage. if like me you love garlic you can now start planting up. Take each bulb, seperate each clove and pot into individual pots. Put multi-purpose compost with a little bone meal and some perilite. This will aid drainage and slow release food for the first month. put in the polytunnel. Onions grown from seed in January can be potted up now. If you prefer to grow your onions from sets these can be potted on the some as garlic. 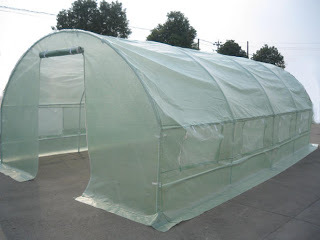 In a frost free polytunnel/greenhouse you could start off broad beans and sweet-peas. I pre-chit mine first. In a plastic tub put some wet tissue paper on the bottom place in seeds then more wet tissue on top, place somewhere warm,but not dark.once seeds are active pot on in single pots with some compost mix as before. In a heated propagator you can start off tomatoes,chillies,peppers.or you can pre-chit as a above but you need a very steady hand when picking up to pot on. Planting compeining plants can commence this month if you have some where frost free. poached-egg plant- a wonderful low growing annual is great for attracting hover-fly,which in turn get rid of aifids. plant inside your polytunnel around all your beds with french marigolds.i tried african marigolds last year,a larger taller version of the french marigold and found it worked very well for combating affids. A basic herb rack garden is essentiol for anyone who loves cooking. If you want to boost the flavour of home-grown produce, you,d do well to invest in a selection of culinary herbs.Chives,garden mint,oregano,applemint,lavender, posemary,parsley,thyme,sage basil. Most herbs are fairly easy to grow and more-or-less look after themselves. The mediterranean types- sage rosemary-thyme do very well given the protection of a polytunnel. Herbs need a sunny position to flourish and produce the aromatic essential oils. Herbs prefer a well drained soil with lots of well rotted organic matter. I prefer to steer clear of manure as its too rich and most herbs dont like to be over-fed - treat them mean. All herbs will do well in containers provide them a high potash granular fertiliser either a controlled release or rose feed. I use liquid comfry which i grow myself. Dont overdo the nitrogen as this produces soft growth with a less intense flavor. Potash is better for bringing out the taste and promating esential oil production. Try the following types to deter insect pests from vegetable crops, thereby helping to clear protentially damaging problems. It`s one of those trial-and-error `do they` `dont they` situations. The following are well with worth a try. i`ve had some good results. Chives - many tomato pest. Garlic - red spider mite, beetles and aphids. Peppermint(in pots) - flea beetle and ants. Herbs to attract benificial insects. Combined with the herbs above, they provide another way of offering eco-friendly plant protection. attracting naturally occurring pest predators. Try planting ;- coriander, dill, fennel, parsley,spearmint(in containment invasive) and thyme. witten by FOODSTYLE HIGHLAND ORGANIX.